The discovery on February 5th, 2013 of a dead yearling male elk in a farm yard near Nipawin, Saskatchewan marks the first wild elk to be found that has died of chronic wasting disease in the province. At autopsy this elk was thin and had an aspiration pneumonia which likely killed it. Aspiration pneumonia is a relatively common consequence of CWD and is the result of CWD destroying the brain and impairing function of the larynx or throat, which then allows food material to enter the lung. CWD infected animals with aspiration pneumonia can die much earlier than those with progressive CWD that ultimately leads to emaciation and death. This would explain the young age of this elk. This elk was discovered in Wildlife Management Zone (WMZ) 50, an area endemic for CWD. 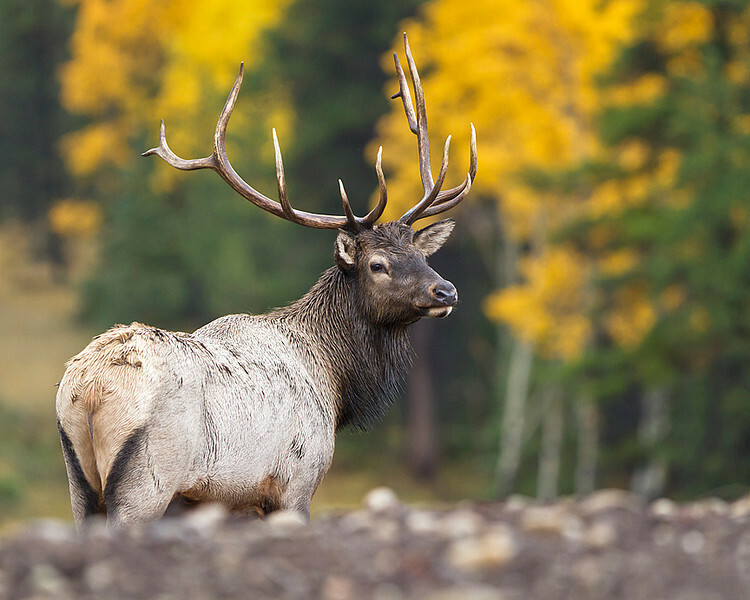 Submissions of deer and elk heads from hunters in this area have declined significantly over the last few years in spite of the presence of a free testing service; therefore, estimates of the prevalence of CWD in this zone are very crude. A total of 53 cervids (deer and elk) have been tested from WMZ 50 over the last 3 years and of these 13 or 24% have tested positive. The 13 include a few deer that were found dead or sick and this is likely to bias the estimate. Although the prevalence appears to be very high, better surveillance is needed to estimate the true prevalence of the disease and the area over which these high prevalence’s are occurring. 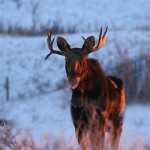 CWD is of concern due to its potential detrimental effects on deer and elk populations in the area but the recent case of CWD in a moose from Alberta (http://blog.healthywildlife.ca/?p=2274) highlights its ability to transmit to that species as well. 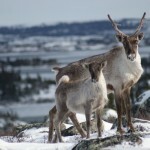 An additional concern, based on its recent successful experimental transmission to reindeer, is the potential for CWD to spread to caribou. The increase in host species susceptible to CWD raises another concern as one of the characteristics of prion diseases (CWD is a prion disease) is that the transmission of prion diseases to new host species can alter the range of host species that can now become infected. 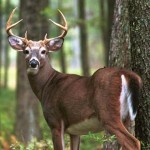 The explanation for how CWD and other prion diseases develop new strains and adapt to spread to new hosts is the topic of a recent paper written by a team of researchers from the University of Alberta (http://www.sciencedaily.com/releases/2013/03/130311124205.htm). Long incubation periods, environmental persistence, multiple susceptible species, and adaptation to new host species makes it difficult to predict the long term implications of CWD to cervid populations, other species and to ecosystems.